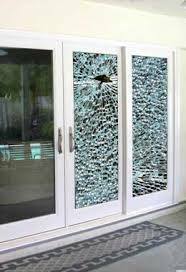 Damaged glass does not have to be a stressful situation. Count on Glass One Quincy to perform quality glass repair and replacement in a courteous, professional manner. Our Technician will complete your window repair or glass replacement using the industry best practices. We perform the service at a time that works best for you, and our up-front pricing guarantees no surprises charges when the work is finished. We strive to deliver the best service to every customer. Glass One will repair windows showing signs of seal stress. Broken seals result in a build-up of condensation between panes, creating a dirty or foggy appearance on the window. Not only does this affect your curb appeal, failed window seals negate the insulating properties of a unit, altering your house’s comfort control abilities. Our specialists replace just the panes to repair the entire window. Homeowners hoping to replace entire windows can trust our Experts to select the right window for their needs. Choose from a variety of insulated glass units (IGUs), including double or triple pane windows. Glass improvements over the years have given windows numerous advantages that result in lower energy bills and greater comfort. Installing newer glass options, such as IGUs and Low-E windows, delivers these advantages to every homeowner. IGUs and Low-E windows are known for their ability to increase energy efficiency and control noise pollution. 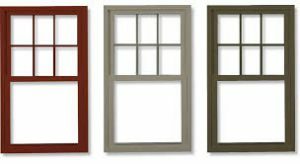 Our installation technicians replace worn or broken windows with new, advanced windows that will increase home values and comfort. Protect your glass from staining and scratching while reducing dirt and grime buildup from hard water, mineral deposits, environmental pollutants and weathering with the help of GlassParency glass protectant. Great for shower doors and Windshields, It can be applied to granite, tile and porcelain surfaces too! Glass tinting offers your windows protection from UVA and UVB rays. 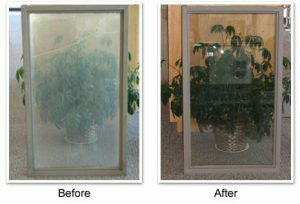 Tints shield the interior of your property from issues related to sun exposure and reduce energy costs as well. Our team will re-establish your home’s security, no matter the hour. We consider your safety paramount; so a specialist will arrive at your home ready restore your window. Our specialists will complete any repairs during your emergency service appointment. If a pane must be ordered for repair, we will board up the damaged window and clean the area. After we have re-secured your home, we set a time to complete your permanent solution. Not only standard window replacement, our experts can tackle the repair and installation of glass in garage doors, showers, mirrors, tabletops, patio and entry doors, cabinets and a variety of your home glass needs.